Caviar Holiday 2013 // For Her ~ Caviar Taste, Tuna Fish Wallet. The holiday season is in full swing & you know what that means... Gift Guides! What better way than to kick off our holiday gift guides than with us, the ladies. Instead of doing 20+ gift guides this year, I have decided to be "e-green" and consolidate. 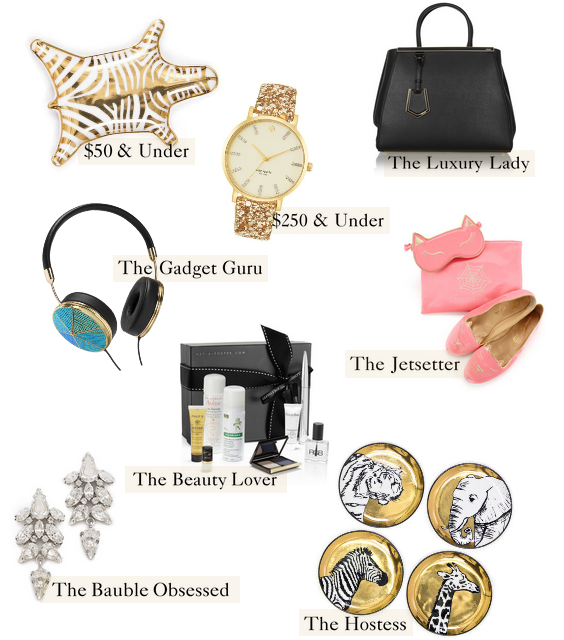 You will notice below that this gift guide is broken down into eight categories; $50 & Under, $250 & Under, The Luxury Lady, The Gadget Guru, The Jetsetter, The Beauty Lover, The Bauble Obsessed and The Hostess. Enjoy! Happy holiday & happy shopping! I love all these gift picks! The jet setter is my fav!